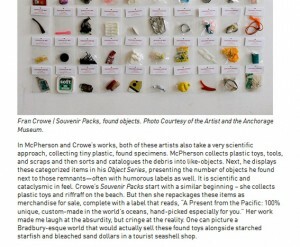 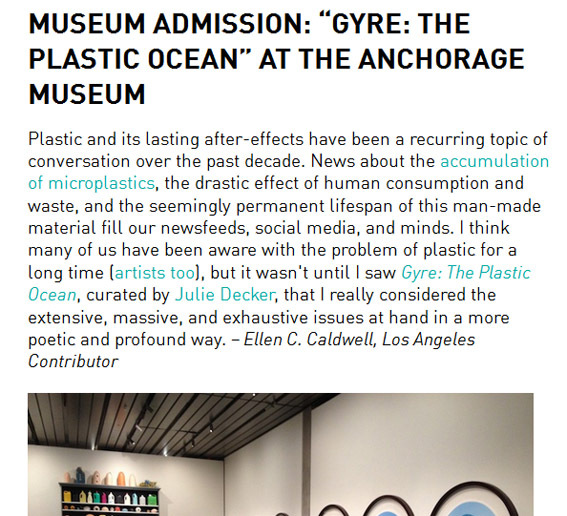 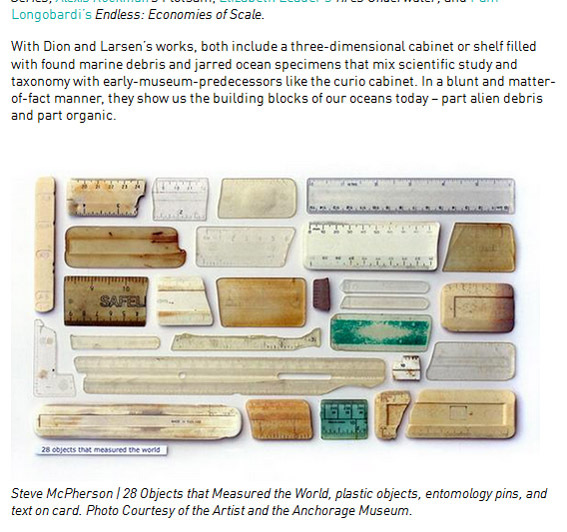 I recently found this on the New American Paintings web site – a nice article about “Gyre: The Plastic Ocean” at the Anchorage Museum, which I have around 12 works in. 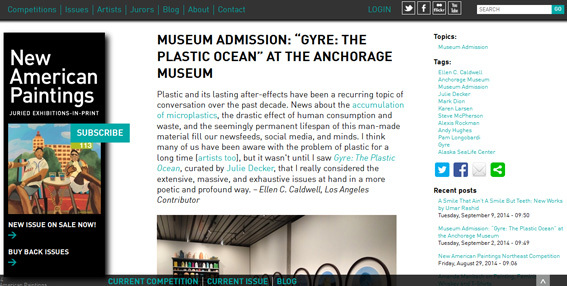 The show is travelling to the David J. Sencer CDC Museum (Atlanta, GA), from January through to June 2015. You can see get a glimpse of the piece below or read the whole article from here.